Potato harvesters dig up potatoes with ploughshares, separate the leaves and clean the potatoes. Some machines have integrated reservoirs. 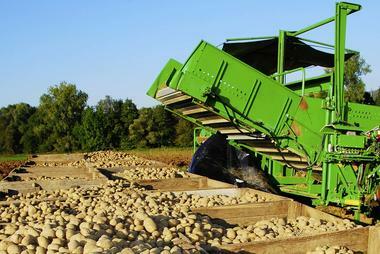 Potato harvesters with their own drive have hydraulic steering. The steering pivots of the machines swivel 90 °. The steering pivots are subjected to high weights of up to 15 t. Due to the uneven terrain, the steering pivots are subjected to stress from knocks and impacts. 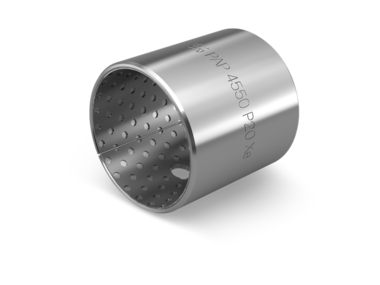 The plain bearings in the steering pivots therefore face high impact loads and edge loads. The bearing positions are subjected to harsh conditions, such as temperature luctuations, dirt and moisture. 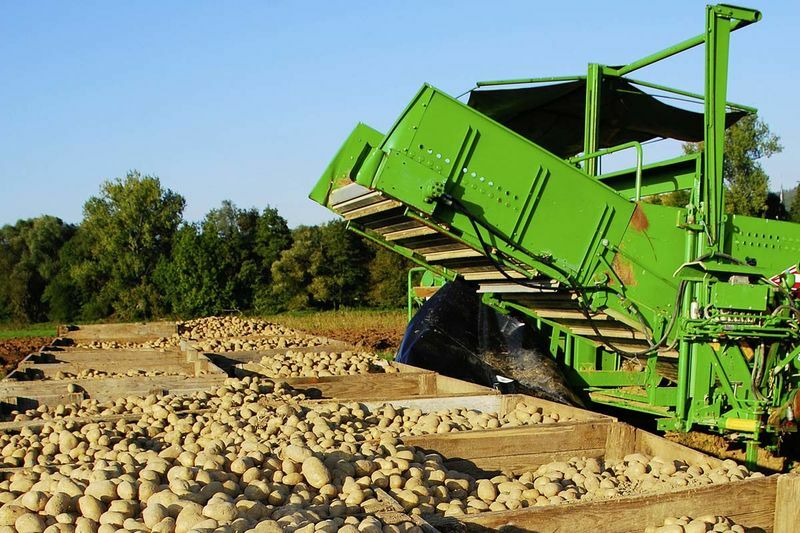 During harvest time, the machines are in constant use and must work reliably at all times without maintenance. Signs of corrosion after longer downtime periods must not lead to the bearing becoming stuck. Using the KS PERMAGLIDE® P20 plain bearing bushes and P20 thrust washers means that the bearing functions reliably despite the dificult operating conditions. The thick plastic sliding layer over the sintered bronze dampens knocks and impacts. 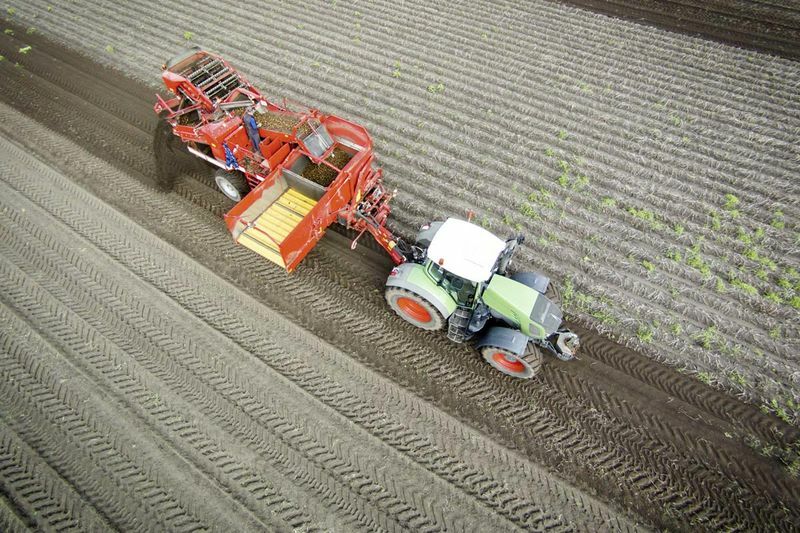 The wear resistance of the KS PERMAGLIDE® P20 plain bearings ensures that the steering pivots have a long service life. 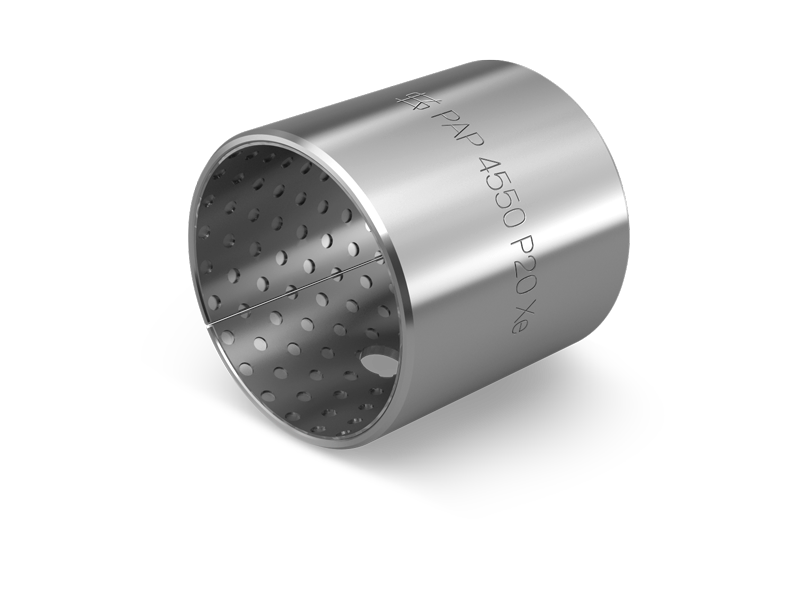 The bearings retain their good sliding properties even with inadequate lubrication due to lack of maintenance.